As I mentioned in the project page, is that I document all the clothes I sold. 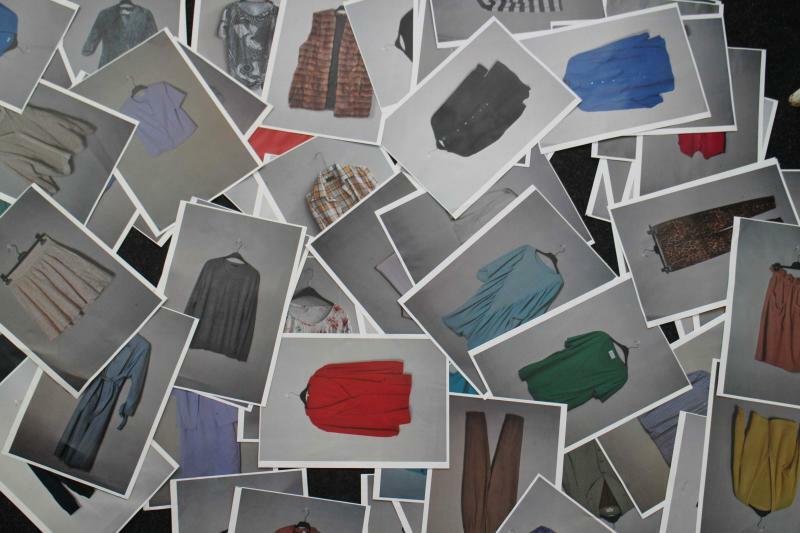 Most of the photographs are still on my hard drive but I printed out a tiny fragment of the garments.. Here it is.. Over the years I've photographed a gazillion pieces of clothing. In a few days I will show you how my actual closet looks like. I think it comes down to 20 pieces of clothing. One day I hope to own as least as possible!